Review: Richard Haig is a successful and well-respected poetry professor at Trinity College, Cambridge. He moves to Los Angeles to get his life in order and to also avoid deportation back to the UK. I could only give this two out of five it was so bad. What a disappointment. I found two other titles for this film. One with the title “How to Make Love Like an Englishman” and also “Lessons in Love”. Not the best Pierce Brosnan film by miles. No discrimination or anything but I am sorry that an actor in his 60’s having to do romantic comedies like this is just not on. Such a talented actor. Great cast but unfortunately they just don’t have any material that they can work on. You don’t care one bit about any of the characters. They didn’t even know how to use the camera properly or the camera didn’t know how to use them. They were all over the place. 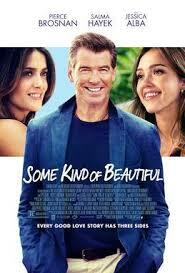 The actresses could have been Pierce Brosnan’s daughters they were so young. I was just frustrated by the whole film. If you think this works Malcolm McDowell plays Pierce Brosnan’s father although the age difference between the two actors is barely 10 years!! One film critic wrote about this film “A couple of hours of air conditioning, nothing more”.